When Paper Mario was released on the N64 it somehow completely slipped my attention and Ive never had the chance to play it since. When Paper Mario on the Wii was release though I was completely hooked. The story was completely different to any other Mario game I had previously played and there was a new villain to try and defeat. Playing as my favourite mustachioed plumber with the added bonus of flipping from 2d to 3d was AMAZING and I became a hermet for a couple of days while I completed it. It did take me a while to work out one part from what I could remember because there was a glitch, but it was worth every minute spent playing. 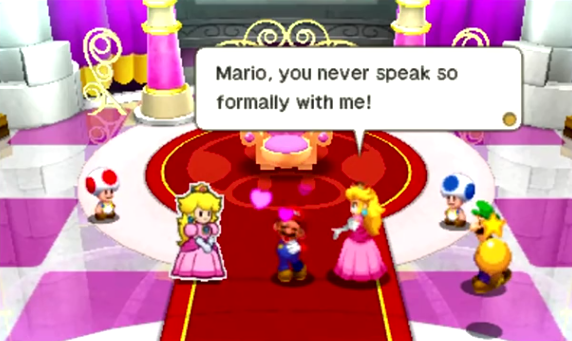 When Paper Mario: Sticker star was released on the 3ds we rushed out to get a copy because I had told the boys how much I had enjoyed playing the previous game. The boys were not disappointed and they still love playing the game now. So when we were doing our usual mooching around on the Nintendo website and spotted the upcoming game Mario & Luigi Paper Jam Bros we couldn't wait to give the next installment a try. Nintendo do such a good job of dragging you in to the games and most of the Nintendo fans I know have been following many of the characters since early on. 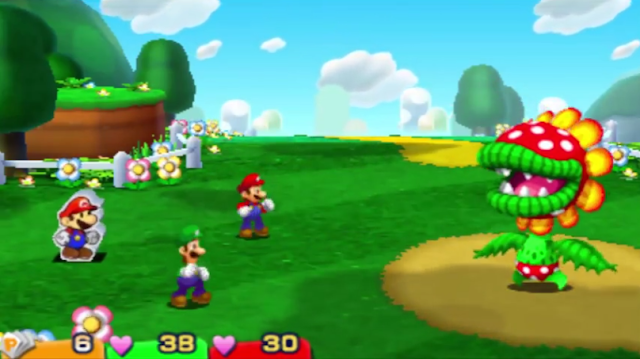 Unlike any of the other Paper Mario titles, Mario & Luigi Paper Jam Bros includes both Paper Mario and his more lumpy counterpart when two alternate universes collide and they need to join forces to help each other out. One of the things that I loved from the very start of the game is that you are controlling both Mario and Luigi on the same screen using one button to make Mario jump and another to make Luigi do the same. 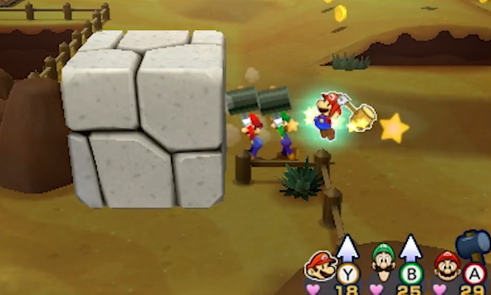 When Paper Mario then gets thrown in to the equation too you can perform trio moves to get past obstacles and progress through the game. You can use the trio to add power in to your attacks, totem like The legends of Zelda Tri Force heroes and send the slender brother through tight squeezes With puzzles to complete and Pokemon style battles to take part in along the way the game has something for everyone. With two princess' to rescue and two Bowser's to defeat, Mario & Luigi Paper Jam Bros is shaping up to be a fantastic game and I am looking forward to getting stuck in over the festive season. Now I've got to try and get the boys off of the game for a bit of Paper Jam craft, I've made my Goomba!